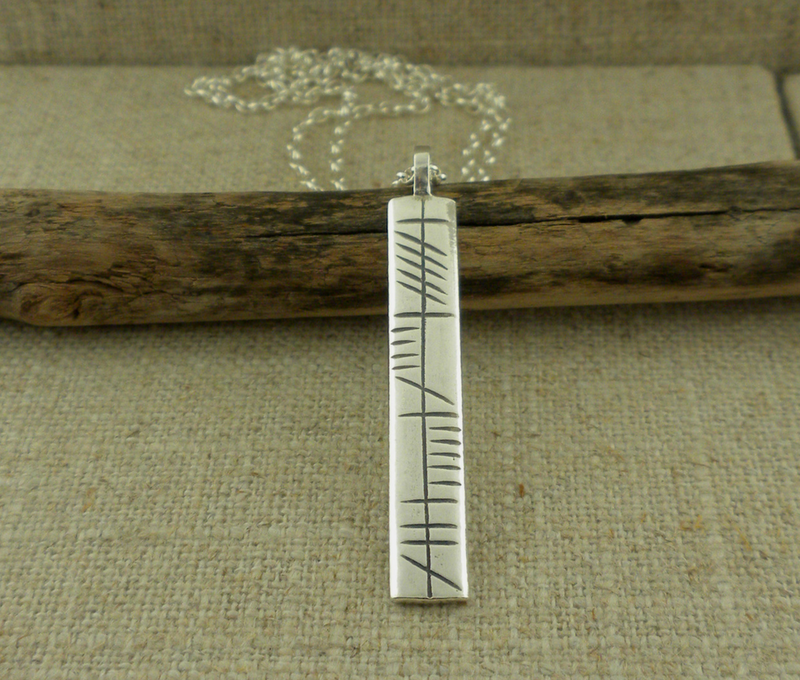 Lovely: My Soul Mate in Ogham: Ogham writing dates back to the 5th Century AD and is the ancient form of Irish writing. This stunning Sterling Silver Ogham Pendant is inscribed with the Gaelic phrase Mo anam Cara, means My Soul Mate. Textured pendant measure 1 1/2" long x 1/4" wide on an 18" Sterling Silver Bell Chain. In Stock! 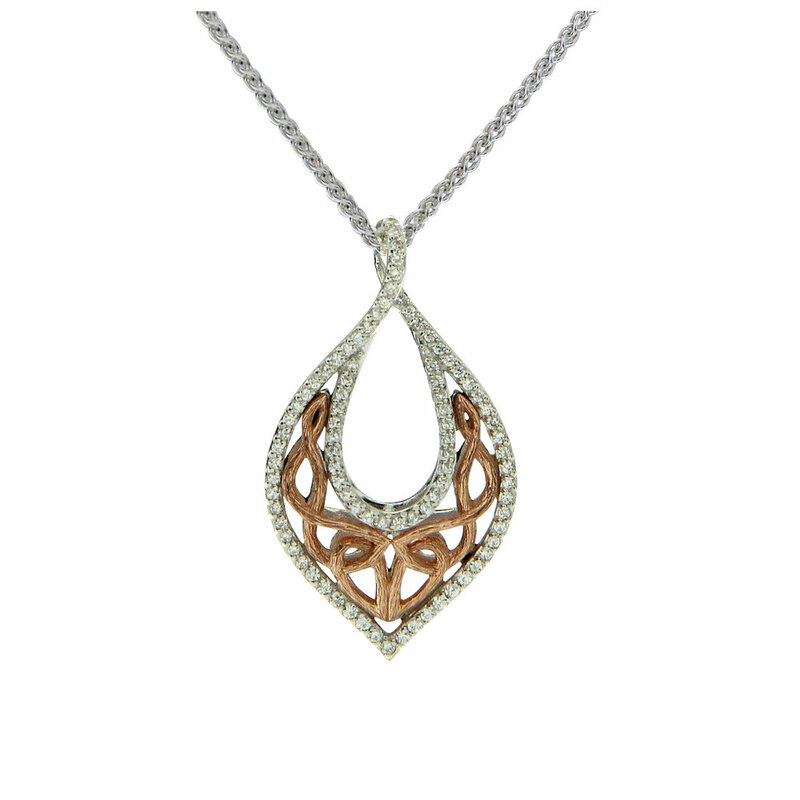 Ships Immediately - Mo Anam Cara Pendant $105.00 Take 10% off with Slainte at checkout. 18" Chain with Lobster Clasp. Stamped .925 or .925 & 10K . In Stock! Ships Immediately - Remember me I remember you … $110.00 Take 10% off with Slainte at checkout. Romance - Rune Says: My Love, Kiss Me . 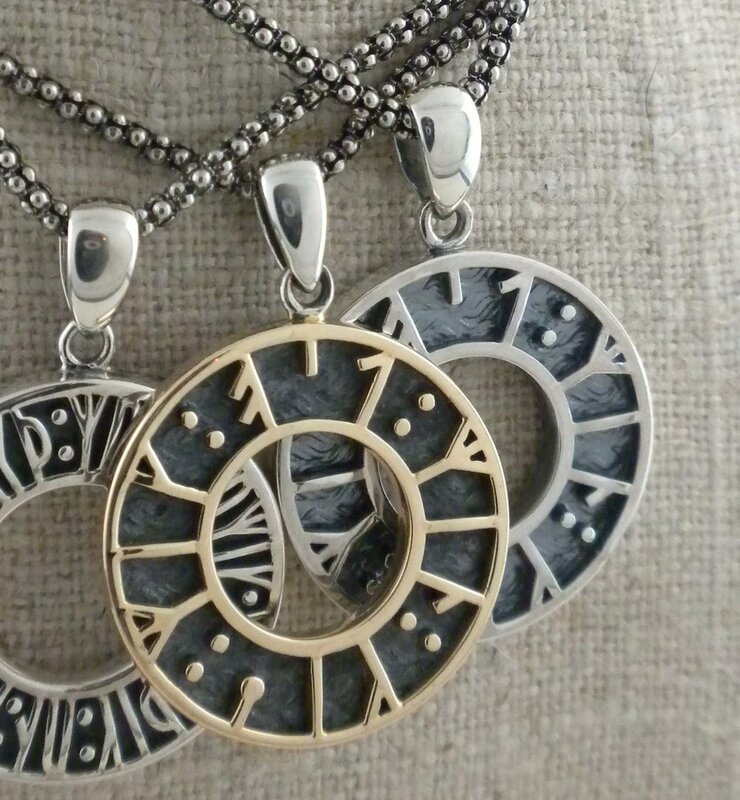 All Sterling Silver or Sterling Silver & 10K Rune Pendant both with oxidized background. 1" round in diameter, Textured back. 18" Chain with Lobster Clasp. Stamped .925 or .925 & 10K . In Stock! Ships Immediately. My Love, Kiss me $105.00 Take 10% off with Slainte at checkout. or Sterling Silver and 10K Rose Gold $289.00 Take 10% off with Slainte at checkout. Choice of Four Gaelic Phrases - Ogham reads Misneach Translation: Courage; Ogham reads Clann Translation: Family; Ogham reads Cairdeas Translation: Friendship, Ogham reads Gra Translation: Love. Pendant: 1 & 1/8" long x 1/2" wide with permanent bale with 18K Accent . Thick Sterling Silver 18" chain with clasp. Nicely boxed with silver cloth. $249.00. Take 10% off with Slainte at checkout.